I love these cards! I made these at a Stamp Club meeting last week. 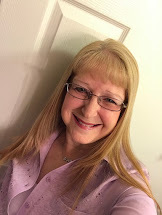 They are very quick and easy, which is my favorite kind...I love quick and easy projects....stamping, sewing, cooking, cleaning...pretty much everything! 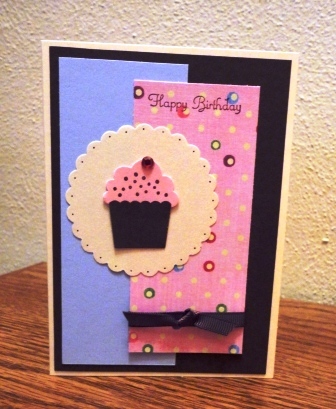 Both were made using Stampin' Up! stamps, inks, ribbons and papers. The Create a Cupcake stamp set and punch are now on my Wish List! Background was made by using the Perfect Polka Dot folder and running it through the Big Shot. 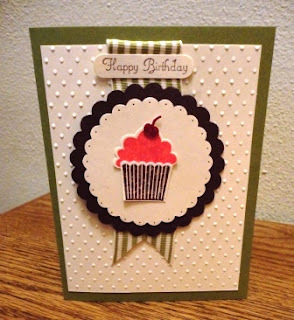 For ordering instructions, see my Stampin' Up! page.